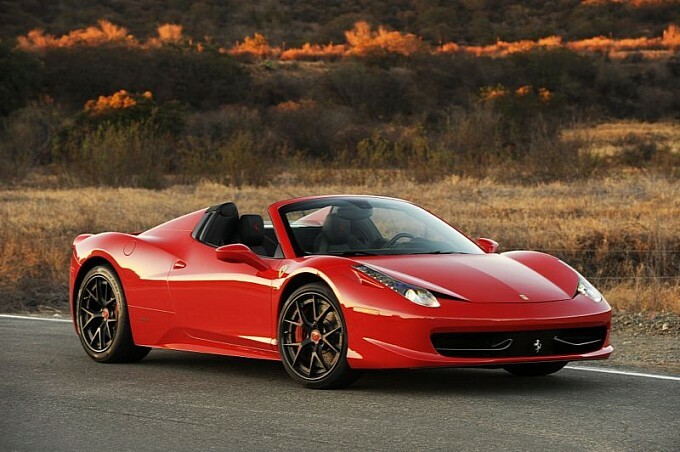 The Ferrari 458 Spider is considered by many enthusiasts and automotive journalist as one of the best-modern supercars. Actually, this is one of the top-selling car for Ferrari and also, in 2011 and 2012 its 4.5L V8 engine has been awarded as the " Best engine of the year ". You realize that this car is already perfect when it comes out the factory in Maranello, but is it really possible or necessary, to make it even more badass? 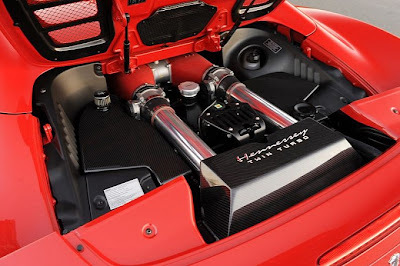 The texan guys at Hennessey have released a tuning package for the 458 Spider, it starts at $60.000 and with the use of two turbos, the power of the V8 raises from 570hp to 738hp with a remarkable 0-100 kph (0-60 mph) sprint in just 2.8s, that's nuts! Hennessey has uploaded a video in which they let us hear the twin-turbo 458 and let me say, the italian high-revving V8 mixed with the whistle of the turbos while accelerating is pretty awesome! And here's the twin-turbocharged V8, now with 168hp more! The Ferrari 458 Spider is really beautiful with its elgant and gracious look.I am obsessed with it.As one of the best-modern supercars,it deserves this.You know,in life,I am also very interested in the toy car,especially the remote control car.It is powered by electric or battery.It has got a beautiful ，exquisite look.What's more,it is easy to handle and cheap to buy.Most important of all, you can get so much entertainment from it,especially on the weekends.Are you still looking for more entertainment?So,why not come here and have a look?